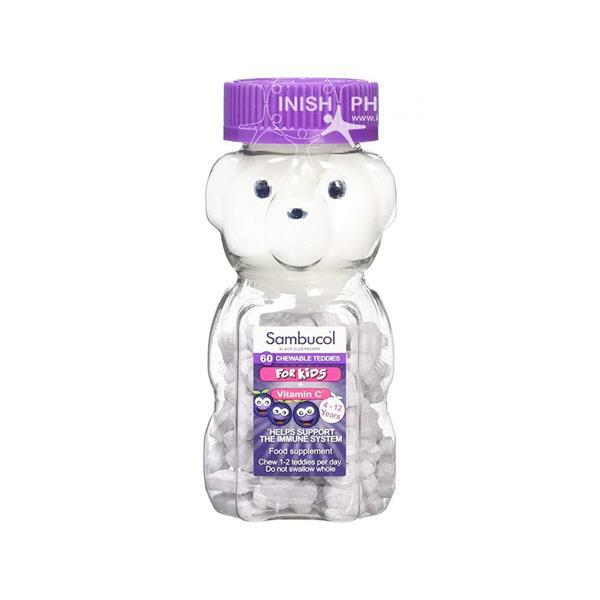 Sambucol Chewable Teddies for Kids contains black elderberries and vitamin c to help support a childs immune system. Suitable for children from 4 - 12 years. Does not contain any artifical colours, flavours, sweeteners or gluten. CHILDREN 4-12 YEARS: Chew 1-2 teddies per day. Not to be swallowed whole.